THE WOODLANDS, Texas—Should the U.S. send humans back to the moon in a 21st-century reboot of the cold war–era Apollo program…or should the nation go full-throttle and for the gusto, sending crews to all the way to Mars, where none have gone before? U.S. scientists and policy makers have grappled ad nauseam with America’s next great otherworldly destination for decades, without making much meaningful progress. Now that it is approaching a half-century since an American—or anyone at all, for that matter—last left low Earth orbit, the debate seems lost in space. Soon that shall change, many advocates of human spaceflight believe, through a hybrid of new initiatives by Pres. Donald Trump’s administration as well as commercial efforts led by private industry. The Trump White House’s vision for U.S. astronauts remains at present a foggy TBD, but there are plans afoot to relaunch a National Space Council. Helmed by Vice Pres. Mike Pence, the council would set a new space agenda not only for NASA but also for U.S. rocket companies, big and small, such as SpaceX, Blue Origin, Boeing, Lockheed Martin and Orbital ATK. In the meantime, speculation about the U.S.'s future in space has reached its highest point in recent memory, as made clear here last week by the proceedings of the 48th Lunar and Planetary Science Conference (LPSC). At the meeting, scientists unleashed the latest findings regarding Earth’s moon, Mars, asteroids, comets and myriad other cosmic objects of interest, often with a hopeful eye toward rekindling human voyages to other worlds. Although robotic probes are the persistent currency of discovery in today’s planetary science, many researchers increasingly see astronauts as crucial agents of exploration in the not-too-distant future. The moon is a bonanza for scientists, Kring says, because it offers crucial insights for understanding the origins and evolution of Earth and other planets: how they formed from the accretion and differentiation of smaller bodies; how they were bombarded by impacts early in their histories; and even how some of them migrated in their orbits around the sun. “The best place to answer those questions is on the moon,” he explains, given that its airless surface contains the scarcely altered imprints of 4.5 billion years of solar system history. Here on Earth destructive geologic processes cloud our view of those long-gone formative eons, Kring says. Even on modern-day Mars, a planet far more inert than Earth, many of the answers we might seek to our solar system’s deepest mysteries have been erased by the slow workings of geology. According to Clive Neal, a lunar scientist at the University of Notre Dame, any moon-versus-Mars argument is a nonstarter. “It’s not either-or,” he says, because the moon can enable Mars by tapping lunar resources to support a sustainable human expansion deeper into the solar system. Speaking at a breakout session prior to the formal start of the LPSC gathering last week, Apollo 17 moon walker and geologist Jack Schmitt reflected on the value of human exploration of the moon. It had been nearly 45 years since Schmitt bunny-hopped his way across the low-gravity lunar landscape in December 1972 during the final Apollo mission; half of Apollo’s 12 moon walkers have now died. With the passing of his Apollo 17 crewmate, Gene Cernan, earlier this year, Schmitt spoke as the last living person from that mission to have set foot on the moon. Schmitt’s speech raised issues familiar to many in the audience. For decades, he has championed the potential economics of lunar mining for helium 3, an isotope that could be crucial for certain forms of nuclear fusion. The lunar surface has soaked up vast quantities of helium 3 from billions of years of bombardment by the solar wind, Schmitt explained, and drawing on that resource is how a lunar settlement could support itself. Provided, that is, that scientists back on Earth can first figure out how to make nuclear fusion an economically viable power source—a goal that has eluded them for decades. Schmitt’s faith in a lunar future for humankind is unwavering. “A settlement on the Moon based on helium 3 export to Earth for fusion power makes a lot of sense to me. It starts not only to make us a two-planet species but enables, I think, Mars exploration in many different ways,” he noted. For example, he said, helium 3 mining would produce by-products including water, hydrogen, carbon and nitrogen. These useful substances exist in only the most minuscule traces in lunar soil—but such an enormous amount of surface material would have to be processed to harvest helium 3 that they would accumulate in significant amounts. Water sourced from the low-gravity moon, Schmitt explained, could be utilized as a protective, radiation-thwarting cocoon, built into the superstructures of Mars-bound crewed spacecraft. “A few inches of water around a spacecraft weights an awful lot and it is expensive bringing it from Earth. You can produce water anywhere on the moon,” he said. Others have little time for the moon and the decades that would be required to develop infrastructure there. Their eyes are instead on the bigger prize: Mars. Elon Musk, SpaceX’s CEO and chief rocketeer, is the foremost example of the “Mars first” contingent. And according to SpaceX engineer Paul Wooster, Red Planet planning by Musk’s private company is steadily progressing. “The vision for SpaceX, long-term, is making it possible for large numbers of people to go to Mars,” he says. SpaceX plans to build a mega-rocket and a giant interplanetary crew transporter to populate Martian outposts and eventually a full-size city, Wooster reports. But before the company can achieve those wild goals it must first firm up its capability to send something—anything at all—to Mars. That would come via interplanetary flights of the firm’s Red Dragon spacecraft—a derivative of the SpaceX Dragon capsule that has already hauled cargo to the International Space Station and in due course will take astronauts there. Wooster says SpaceX is intent on rapidly building up surface infrastructure on Mars, hopefully beginning by the mid-2020s. “We obviously have a lot of work ahead of us,” he says. A crucial component of the SpaceX plan for Mars has been demonstrated several times here on Earth. The company has repeatedly landed its Falcon 9 rocket’s first stage at sea on a drone ship, and on land at Florida’s Cape Canaveral Air Force Station. Because the first stage can then be repeatedly reused rather than flown once and discarded, an economy of scale could develop that greatly reduces the cost of access to space, and thus the price tag of a bank-busting plan to colonize Mars. For SpaceX’s ambitious plans to work, the company will have to develop and demonstrate reusability on its next generation of rockets poised to debut after Falcon 9. Wooster says an unpiloted SpaceX Red Dragon flight to Mars, able to deliver roughly one ton of useful payload, is being considered for 2020. 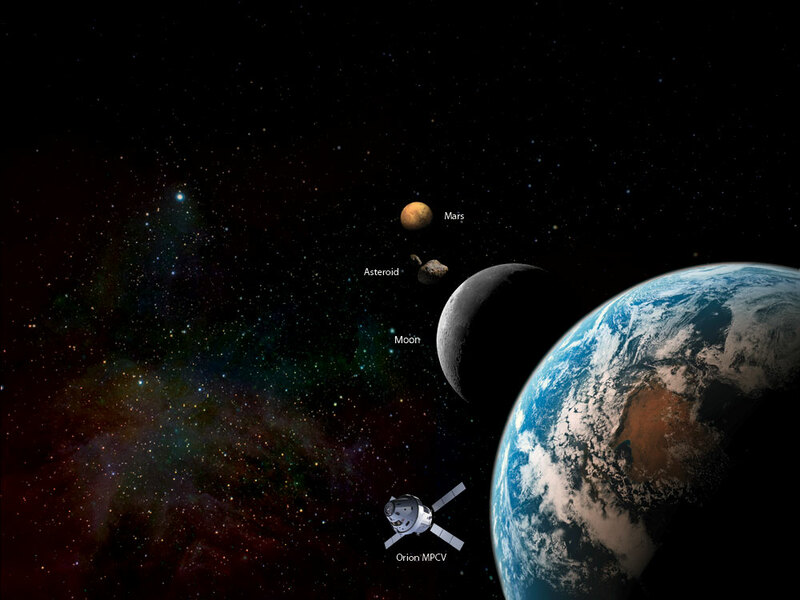 Other Red Dragons could follow every two years or so, when Mars and Earth are in favorable alignments that minimize the fuel needed for an interplanetary crossing. “First and foremost is to learn how to land large payloads on Mars,” Wooster says. In preparation for planting an outpost on that far-off world, experiments onboard Red Dragon are set to test on-the-spot propellant production. That can be done, he says, by processing water from Mars’ surface and with gases extracted from the carbon dioxide–rich atmosphere. In fact, NASA is also set to try out something similar—a Mars Oxygen In-Situ Resource Utilization Experiment (MOXIE) on the space agency’s Mars 2020 rover. SpaceX has been quietly working with NASA and non-NASA landing site specialists to plot locales for plopping down its spacecraft. Site selection is driven by the quantity of water the firm is looking for—thousands of tons, Wooster explains. One such spot “is looking quite promising,” he says: Arcadia Planitia, a smooth plain on Mars that appears to have large quantities of ice near the surface. Of course, where there is ice there may well be subsurface pockets of liquid water—and potentially life, raising the possibility that SpaceX could violate “planetary protection” protocols by landing in such regions. Wooster says SpaceX is working with NASA’s Office of Planetary Protection to properly address such concerns. For now, he reiterates that the company is most definitely open for business and eager to entice researchers to make use of Red Dragon for toting their experiments. “SpaceX is a transportation company,” Wooster explains. “We’re very happy to deliver payloads to Mars for various people,” he adds, an offer that has also piqued NASA’s interest in contracting with the company to launch a potential science experiment in 2020. “We want to turn this into a steady cadence where we are sending [Red] Dragons to Mars based on every opportunity as we go forward, and eventually shifting over to our large Mars vehicle to deliver very large payloads,” he concludes. Be it back to the moon or first footfalls on Mars, the trajectory taken by the U.S. appears to have the research community in ready-and-waiting mode. Whether it comes via government-backed public-private partnerships, international collaboration or go-it-alone endeavors by the only nation to have landed astronauts on the moon, there is plenty of extraterrestrial science that can—and will—be done, potentially even by humans.